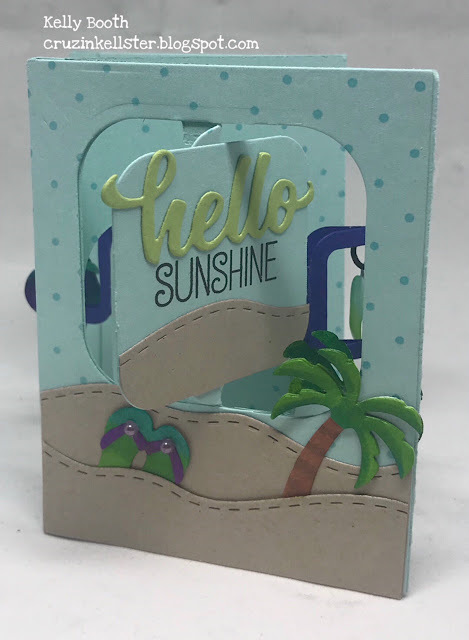 Lovin The Life I Color: Karen Burniston Designer Challenge "Charmed"
Karen Burniston Designer Challenge "Charmed"
It's time for the Karen Burniston Designer Challenge for August and this month we are playing with her Charm dies! 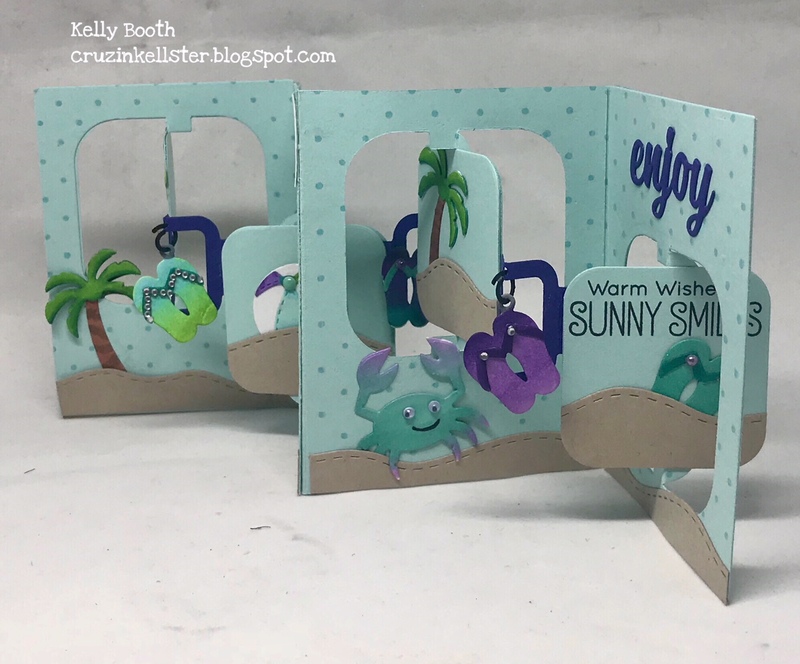 She has sooooooo many fun ones but for my card I'm focusing on the Beach charms. I used the Charm Accordion for my card and reversed accordion areas as Karen showed in her July Video. 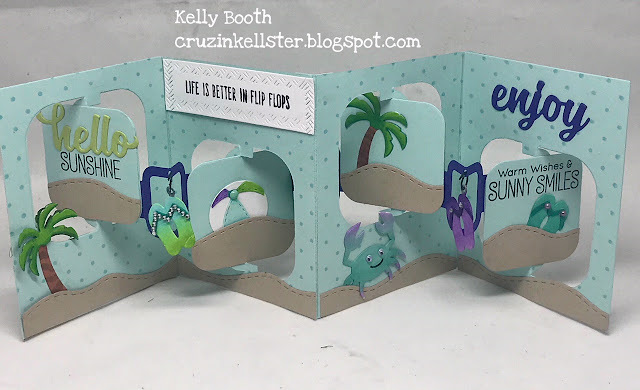 I also used her New Word set 6 Summer for the Hello ! Below is the card opened up! I used the Cross Hatched Rectangles and sit it down to hold my sentiment! 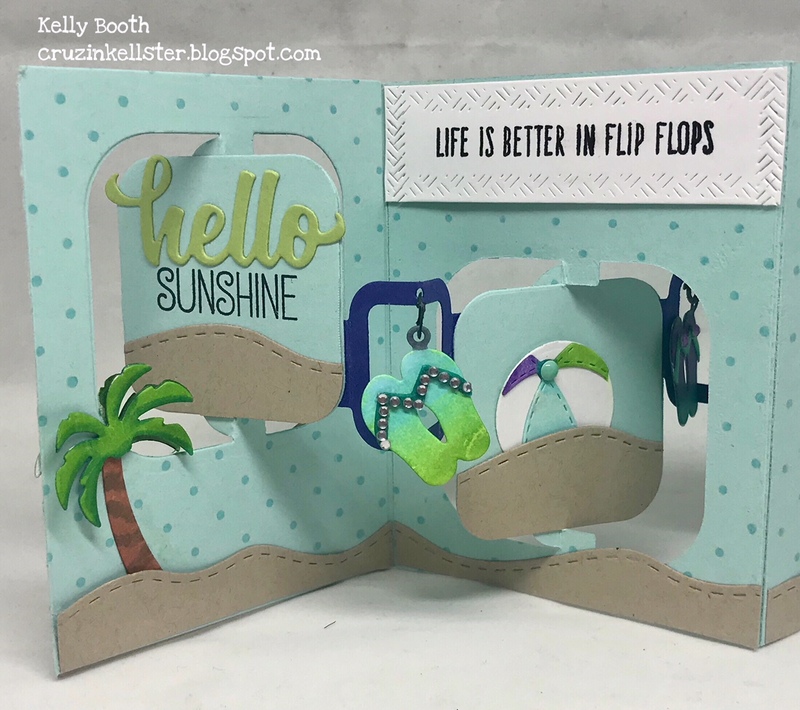 I stamped the background with a cover a card by Impression Obsession and the stamped sentiments are My Favorite Things and Simon Says Stamp for the Life is Better In Flip Flops(Which I think id retired)! Thank You for stopping by and have a Super Day! !